Walk into Paradise with this delightful garden in miniature, with its pretty pastel flowers and buzzing bees. 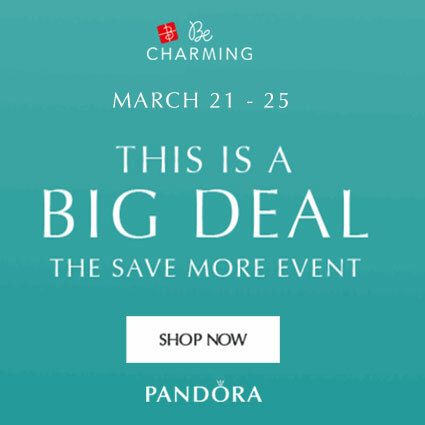 Enchanted was one of the main themes from the recent PANDORA 2018 Spring release. As a fairytale fan I love the ‘Enchanted’ concept and most of my Spring must-have pieces were from the Enchanted collection. 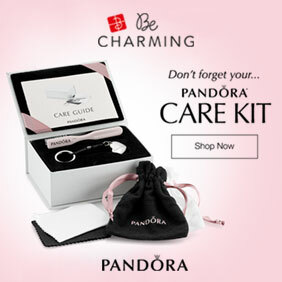 In the last few years PANDORA have improved in the amount of detail in their Murano charms but now it appears that they have taken it to the next level! 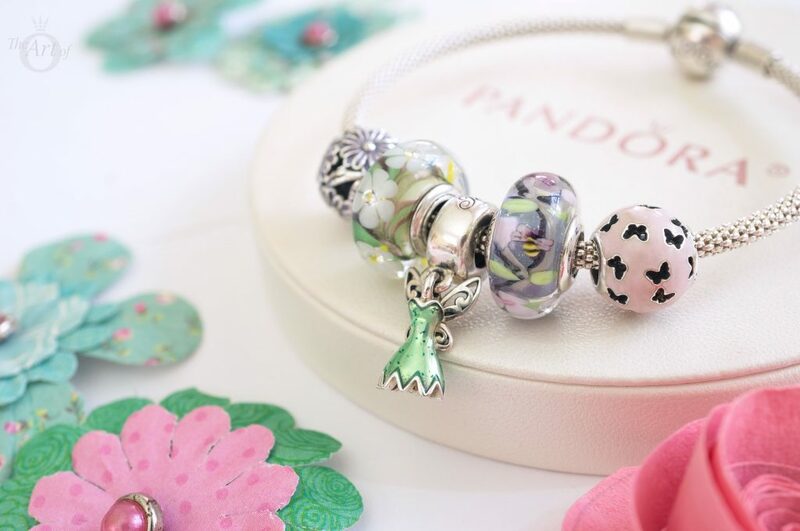 The intricate scene and workmanship in the PANDORA Enchanted Garden Murano Charm (797014) is incredibly impressive. 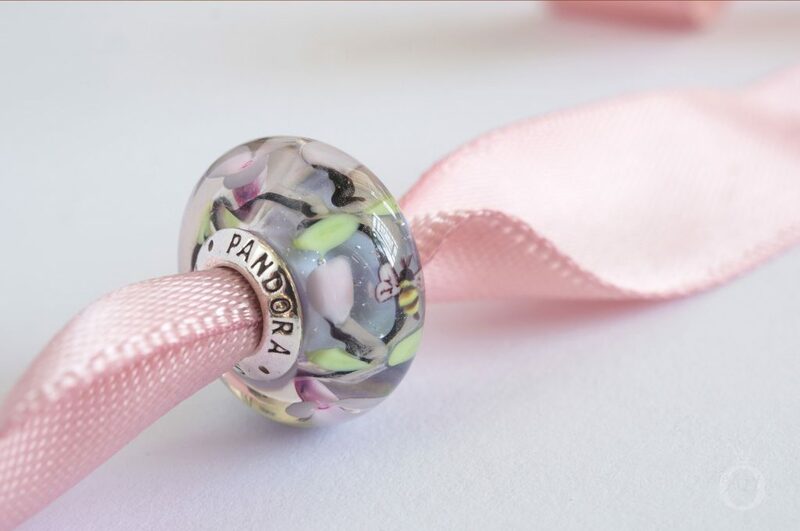 The Enchanted Garden Murano Charm truly is a key piece from the PANDORA Spring collection and my new favourite Murano. 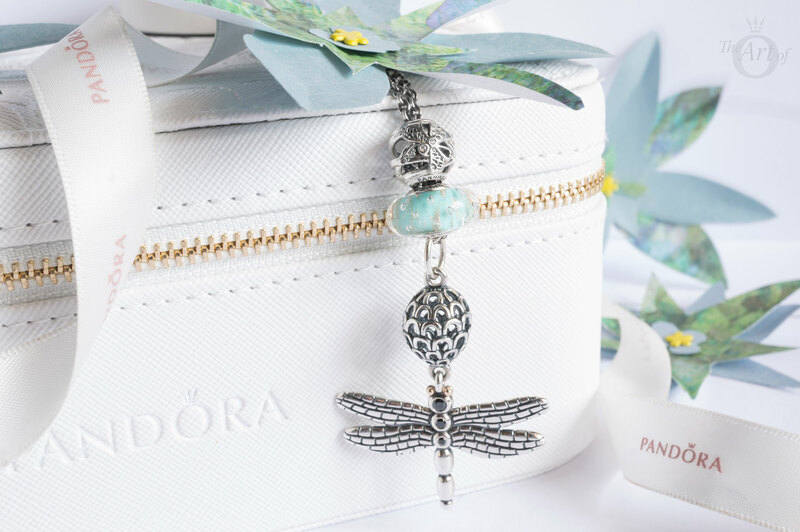 The sweet bumble bees from the initial PANDORA Shine range buzzed their way into the Spring collection and the Enchanted Garden Murano features two of them on either side. The bees bright yellow stripes really draw the eye and its tiny wings are so fine they are almost see through. 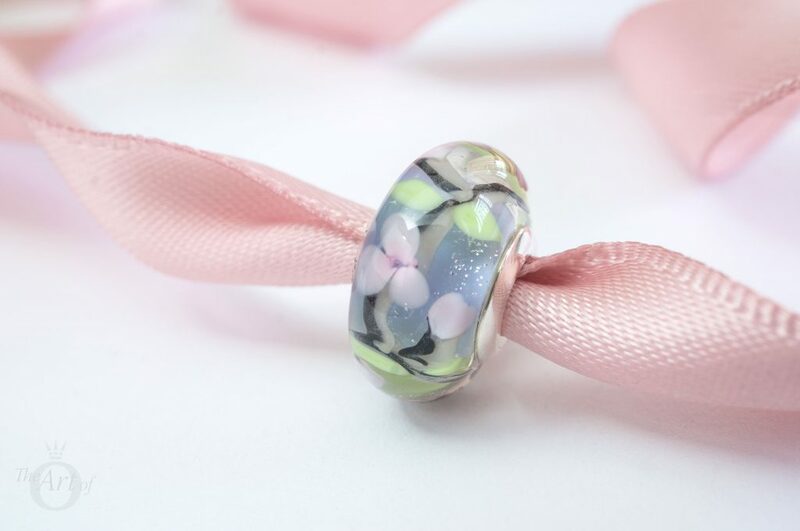 The combination of colours used in the Enchanted Garden Murano are perfect for Spring and Summer. A pale lavender colour sits at the core of the charm with fresh apple green leaves and candy floss pink petals layered above. A black and cream twist of ribbon threads throughout the design like a garden vine. Petite flecks of glitter are scattered around the Enchanted Garden glass which provide additional interest to this engaging charm. The glimmer and flash from the iridescent sparkles suggest that it really is an enchanting garden and something magical is about to happen. 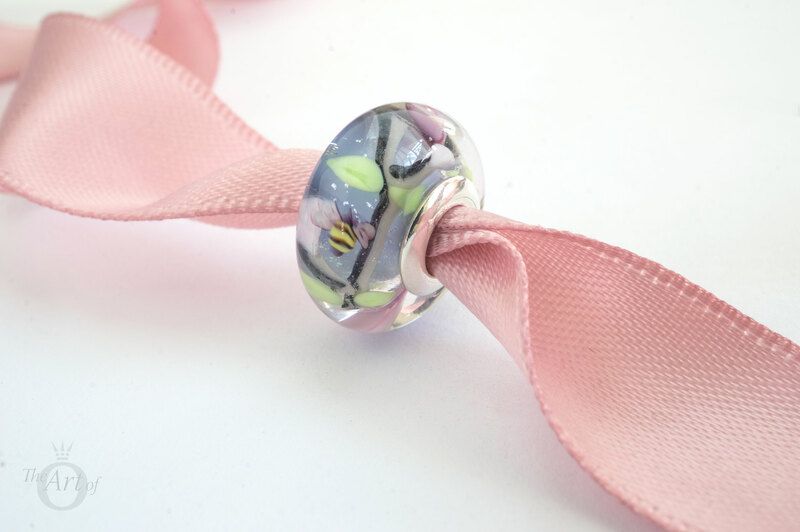 The Enchanted Garden Murano Charm has a threaded silver core which is plain on one side. The other side is stamped with the usual PANDORA hallmarks; ‘S925 ALE’ and ‘PANDORA’. 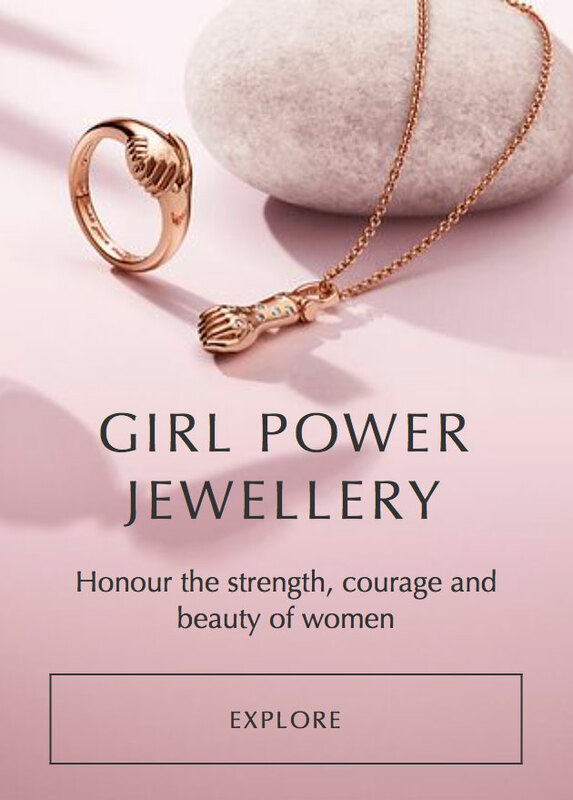 Unfortunately more and more counterfeits are around these days so it is always best to buy PANDORA jewellery direct from an authorised PANDORA retailer to avoid disappointment. 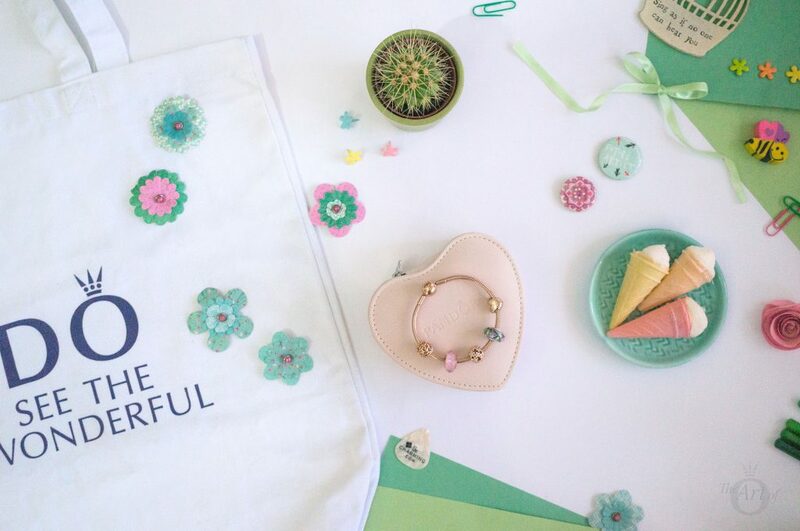 My first styling has a fresh, fragrant Spring breeze blowing over it, with pale pinks and light shades of green. 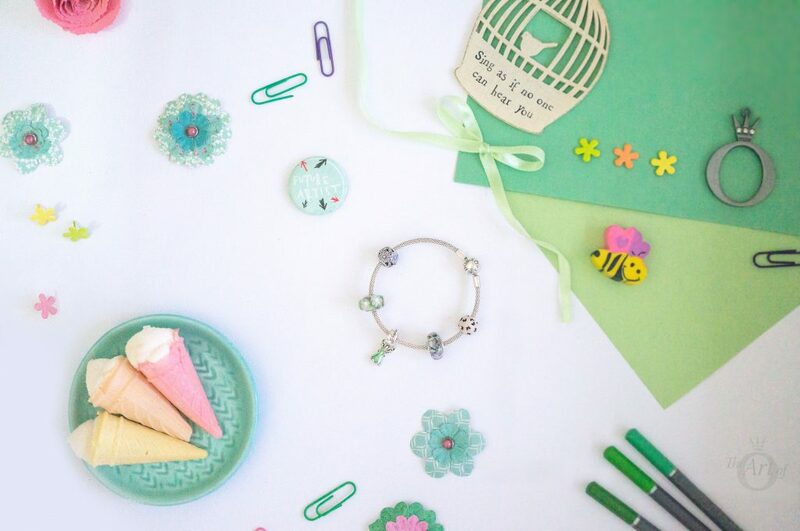 Titled ‘The Secret Garden’, the buzzing bees, Vintage Butterfly Pendant (791255CZ), Spring Bird House (797045) and Miss Hedgehog (791179) all hide amongst the trees, watching and waiting for the garden’s secret to unfurl. The pretty pink enamel of the Magnolia Bloom Clips (792078PCZ) subtly highlight the pink pastel glass inside the Enchanted Garden Murano. 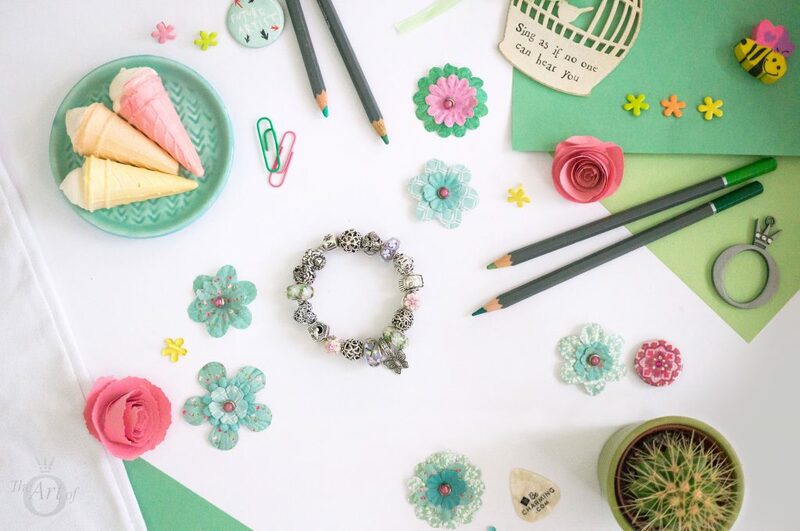 In my second styling, ‘Picking Daisies’, the warm PANDORA Rose Smooth Bracelet (580728) glows beautifully against the lilac and pink pastels of the Enchanted Garden Murano. 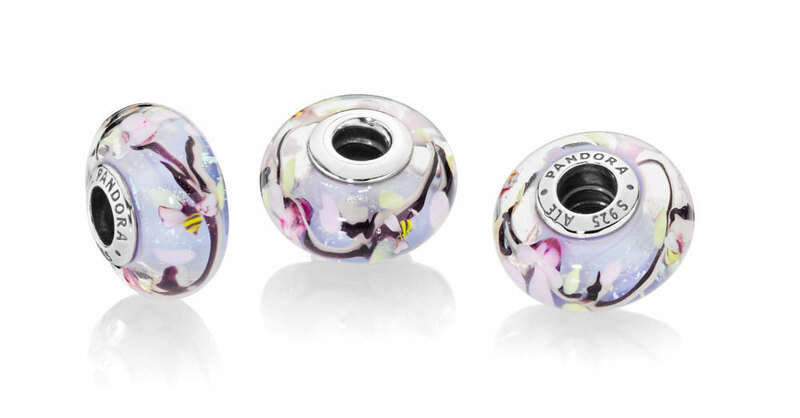 The PANDORA Rose Darling Daisy Meadow (780004EN12) is clean and fresh with its sweet white enamel daises and the PANDORA Rose Pink Shimmer Murano (781650) enhances the blooms inside the Enchanted Garden Murano charm. For more style inspiration with the PANDORA Rose Pink Shimmer Murano you can read our review here. My third styling, Flutter by Butterfly, features some old school PANDORA, including the Butterfly Garden Openwork (790895), Openwork Heart Charm (790964) and the retired Purple Smooth Leather Triple Wrap Bracelet (590714CPE-T). 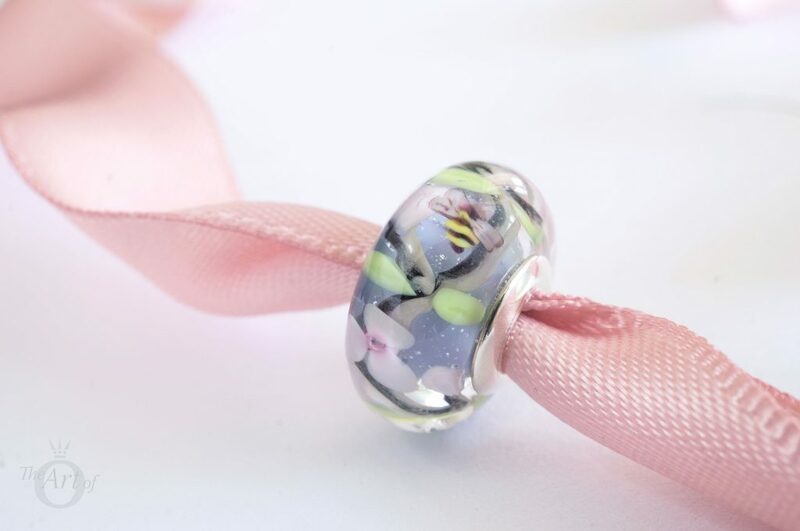 The Enchanted Garden Murano sits prettily at the centre and the Pink (791665) and Purple Field of Flowers Murano (791667) charms compliment its pastel shades perfectly! 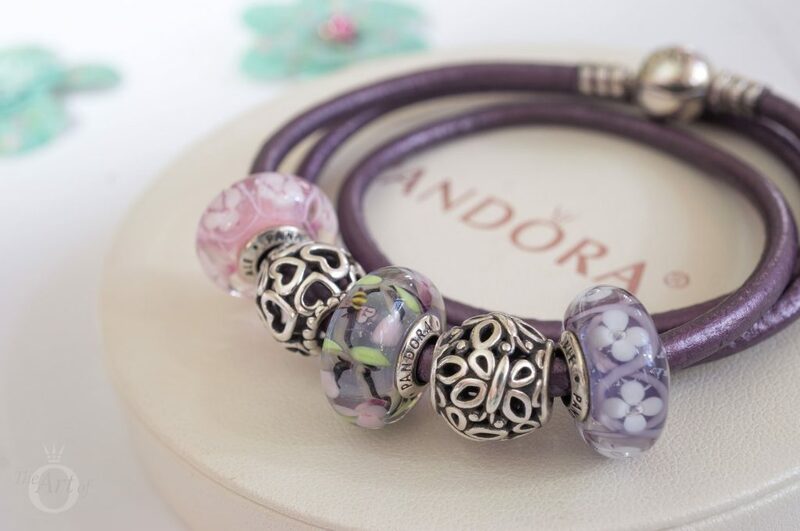 If you haven’t yet bought the gorgeous Purple Field of Flowers Murano, you’ll be happy to hear it is currently in the PANDORA sale for £19 at PANDORA UK eStore. Of course it wouldn’t be an Enchanted Garden without a cute little fairy! In my final design titled ‘Tink’s Bouquet’, our favourite fairy dances around the flowers, leaving pixie dust wherever she goes! 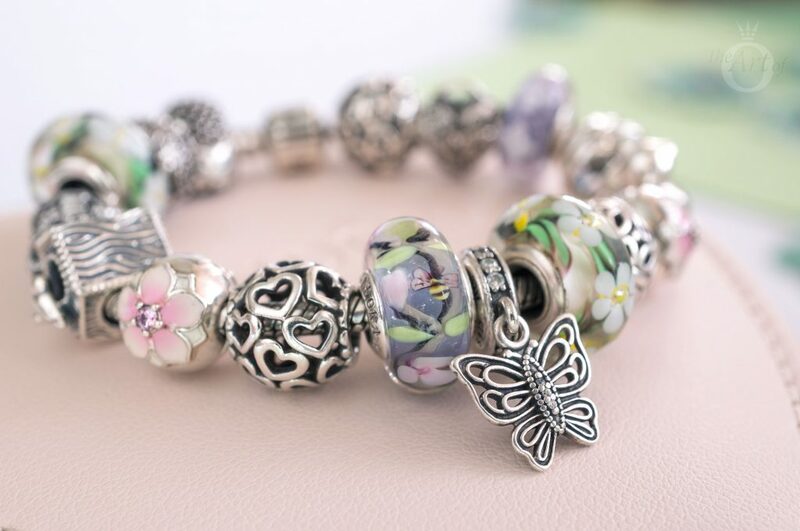 The adorable PANDORA Disney Tinker Bell’s Dress Pendant Charm (792138EN93) flutters between the blooming Wild Flower (791638cz) and Enchanted Garden Murano charms on the graceful Moments Silver Mesh Bracelet (596543). The retired Pink Fluttering Butterflies (791483EN68) and Daisy Meadow (791487EN66) charms with their soft baby pink and lavender enamel finish make this a crisp and beautiful design for Spring. If you would like to see more designs featuring our friendly fairy, read the PANDORA Disney Tinker Bell’s Dress Pendant review here. 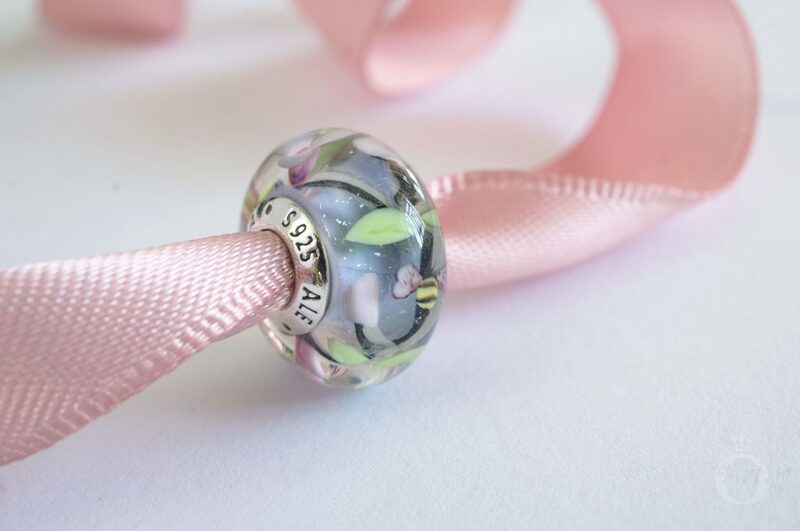 My verdict on the PANDORA Enchanted Garden Murano Charm? It's put a spell on me! Although I absolutely adore this Murano and have given it 10/10 for the design, the wow factor is a little lower as it isn’t a statement piece. 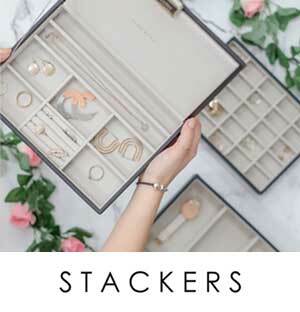 It is reasonably priced as it doesn’t feature any extra details such as cubic zirconia stones. I have also given it 10/10 as its beautiful combination of pastel shades will ensure it suits many design options. 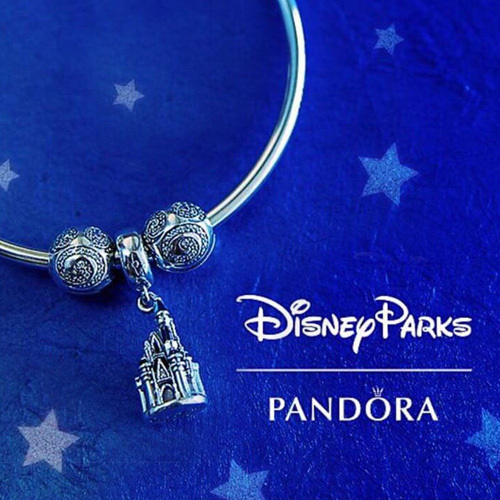 In the UK the PANDORA Enchanted Garden Murano Charm (797014) is £35 and is available from the PANDORA UK eStore. I love this review! This murano is on my wish list for my floral tea party bracelet. I can’t wait to get it! Thank you for your sweet comment! 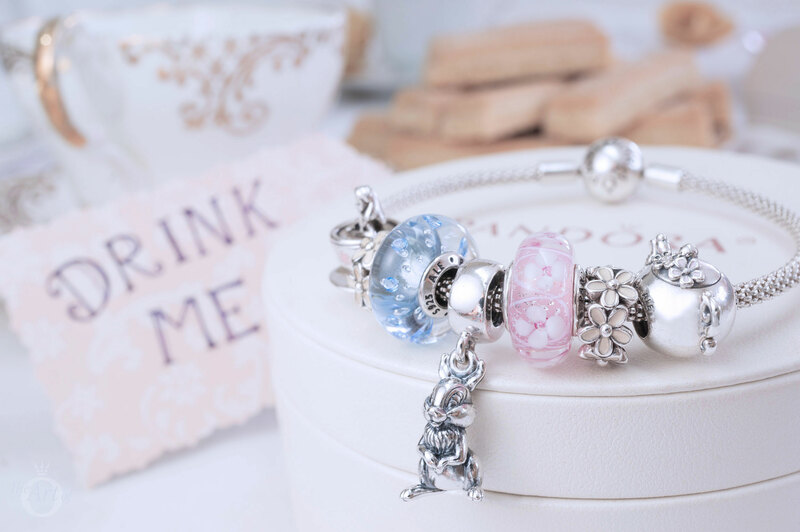 The Enchanted Garden Murano will look perfect on your tea party bracelet. I can’t wait for you to get so I can see the complete design! 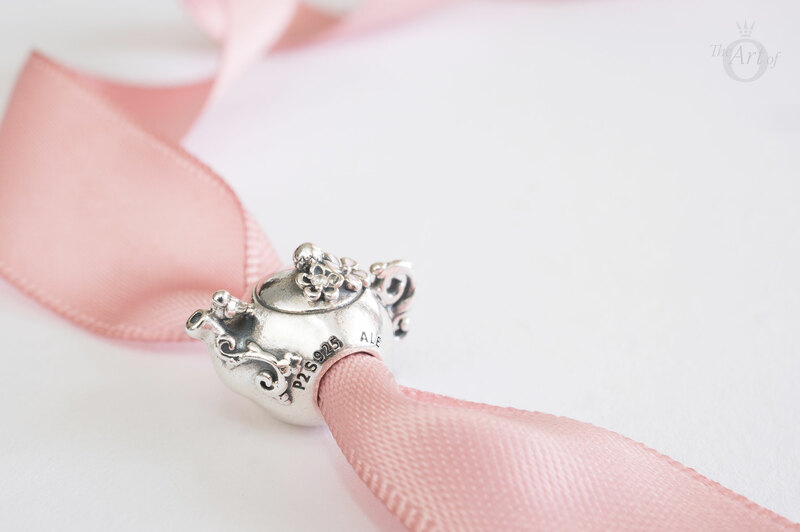 My Enchanted Tea Pot charm is coming up for review soon but next will be the Spring Bird House charm. Aww thank you so much for your kind words. I’m so happy you enjoy reading the reviews. 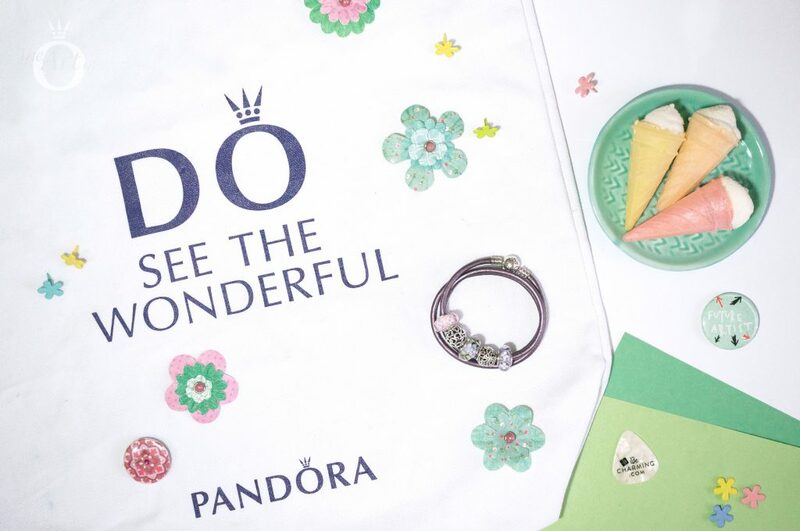 Each PANDORA blog has its own style and its great to be able to see a variety of views and ideas. In fact it was a fellow PANDORA blog, Mora Pandora, that converted me into the PANDORA addict I am today! This has shot to the top of my wishlist ! Such a lovely Murano. I love the quotes in your reviews some of these made me think about the gardens of the houses we lived in when I was a child. Happy memories, thanks. 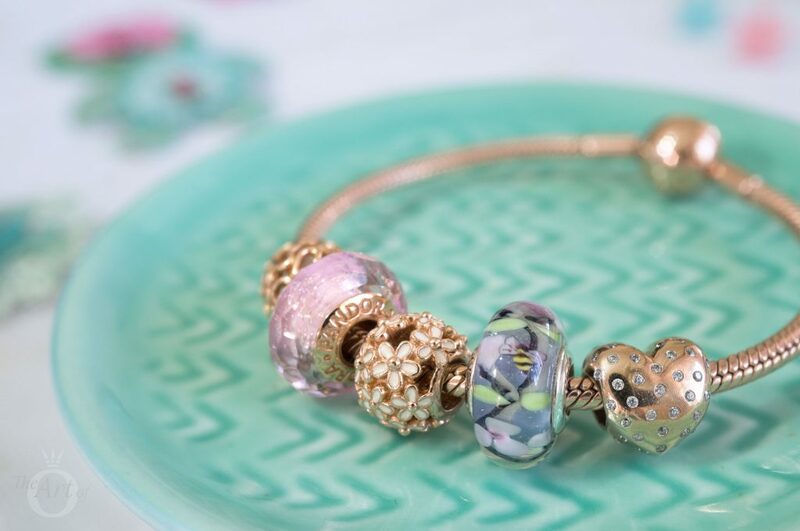 You will love the Enchanted Garden Murano! I used to play outside all the time when I was growing up and one of my favourite stories was the Secret Garden so this Murano brought back happy memories for me too. Do you have any style plans for the Enchanted Garden Murano once you get it? It really is a stunning Murano charm! The lilac glass will look lovely with your pink garden bracelet too. The pink will highlight the little pale pink flowers beautifully. 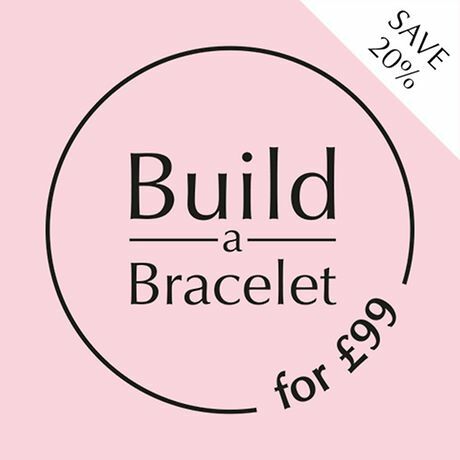 Do you keep your bracelet designs fixed or mix them around?